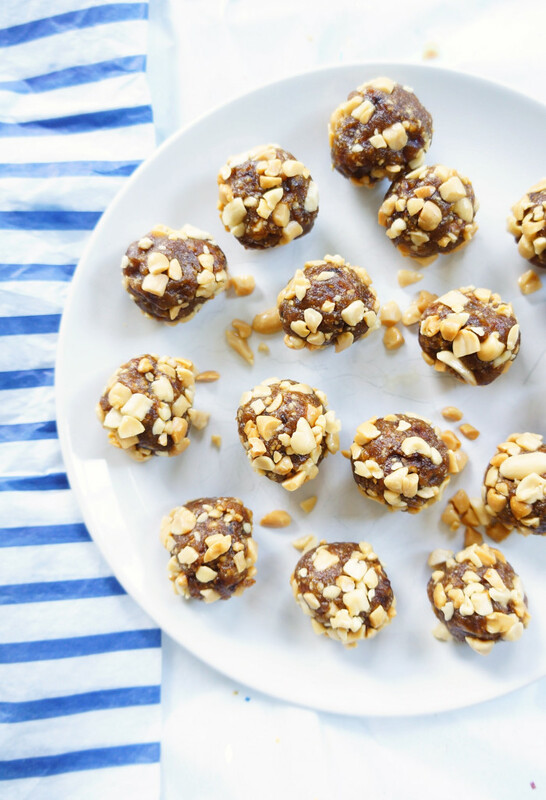 These healthy no-bake peanut butter energy bites are a peanut lover’s dream! Especially since they’re vegan, gluten-free and have no added sugar! I have a secret love affair with peanut butter. It’s been going on for years now. It’s something that I haven’t told many people about. My boyfriend knows about it. It was tough to reveal it to him. At first he took it really hard. But it was something that I had to do. Because of this intense passion that I have for peanut butter, I try to integrate it into many of my recipes. Peanut butter just has to be part of my day. 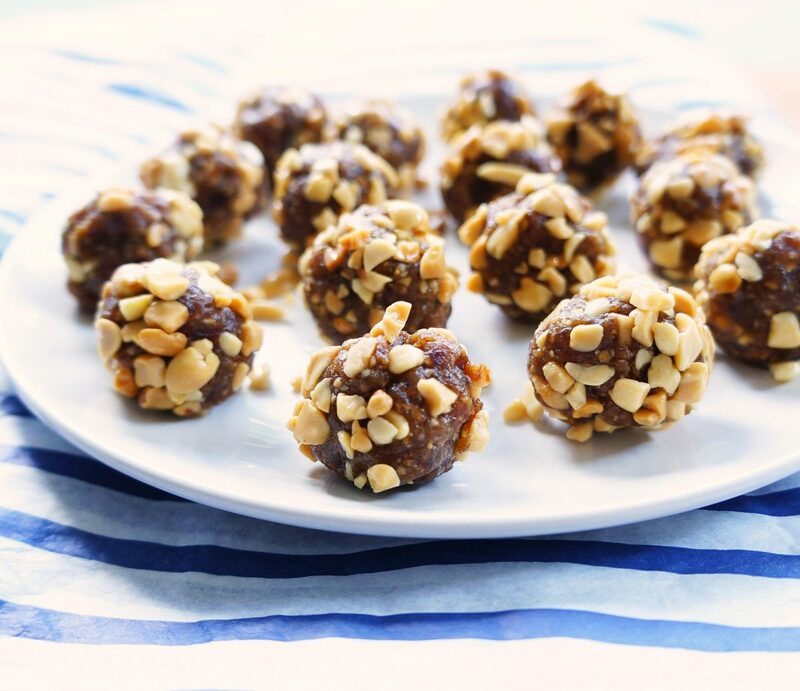 My latest obsession are these Peanut Butter Energy Bites. If you’re a peanut butter lover, this one is for you. These bites have this amazing combo of sweet and salty. As decadent as it sounds, this little treat is completely guilt-free. There’s no added sugar, as it naturally sweetened with dates. 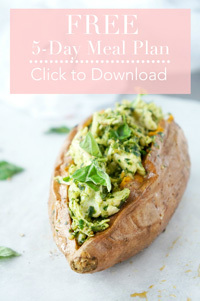 These bites are also a great source of healthy fats and protein from the peanuts and peanut butter. 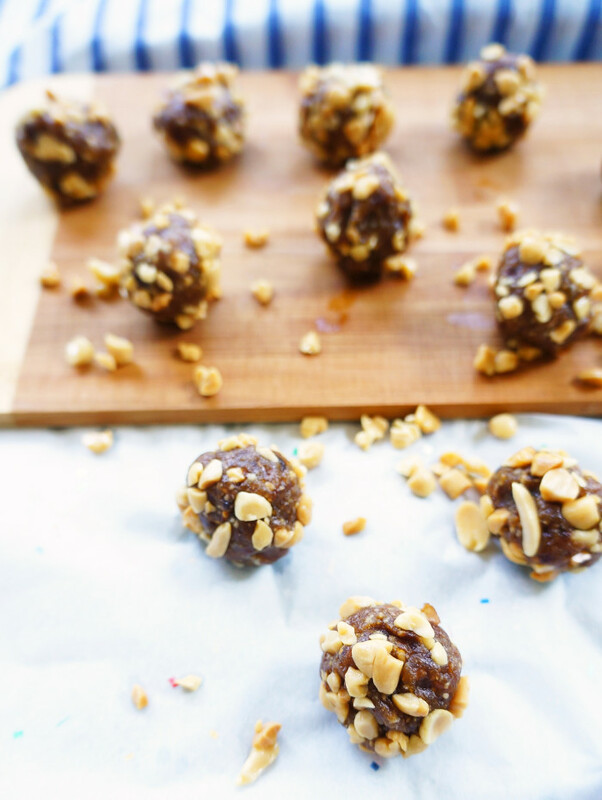 What is not to love about these nutty little balls? 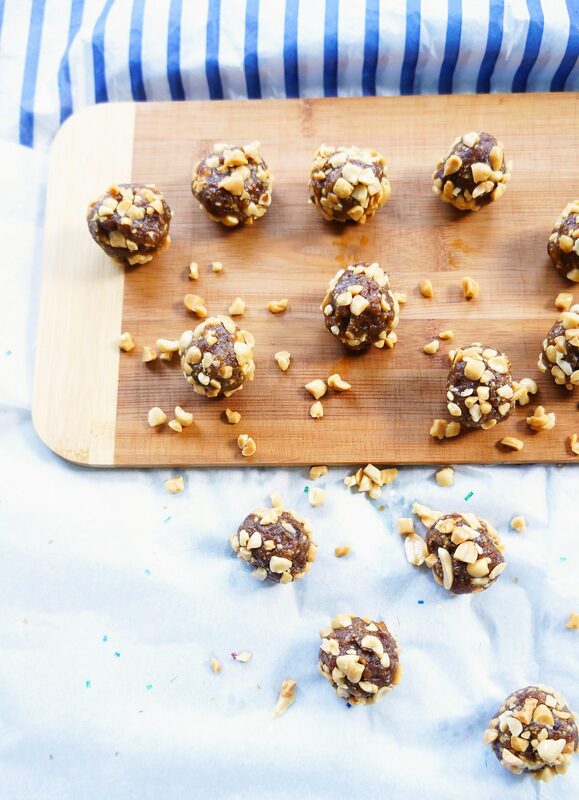 I served these little bites up a couple of weeks ago at the store when I was doing a cooking demonstration (or in this case a no-bake energy ball demonstration). This little girl came up to me with her dad to try one of the little bites. She looked to be about 3 or so, and was just the cutest little thing ever. She was wearing a frilly little dress with pink crocs. She started slowly nibbling on the peanut butter bite, peanuts from the topping flying everywhere. I could tell that she was really enjoying it. Next thing I knew, she had plopped her little bum down on the grocery store floor, peanut butter bite in one hand and a look of determination. It looked like she was trying to dig something out of her shoe. It was the cutest thing. Place the peanuts, sea salt, protein powder (if using) into a food processor and blend until it forms a crumbly texture. Next, add the dates and peanut butter. Pulse until mixture is well combined. Add water (if necessary) until the mixture is slightly sticky (sticky enough to form a ball). Place mixture in the fridge until it firms up (usually requires about 20 minutes). Roll into balls with approximately 1 ½ inch diameter. Roll in chopped peanuts if desired. Store in refrigerator for a couple of weeks, or place in freezer for up to three months. I have a love affair with peanut butter, too. I keep a jar in my desk at work so I can eat it straight from the jar with a spoon! And I always have it in my pantry because I use it in everything and eat it right from the container at home, too. LOVE these little peanut butter energy bites, Elysia! I totally hear ya, Ana! It’s been hot and steamy here too! That’s what I love about no bake recipes! Thanks Marly! I actually pop these into my lunch bag all the time for work, or even when I’m running errands. They come in handy, especially since you can make a large batch and freeze them!